I created this to help explain why lens design is so complex. 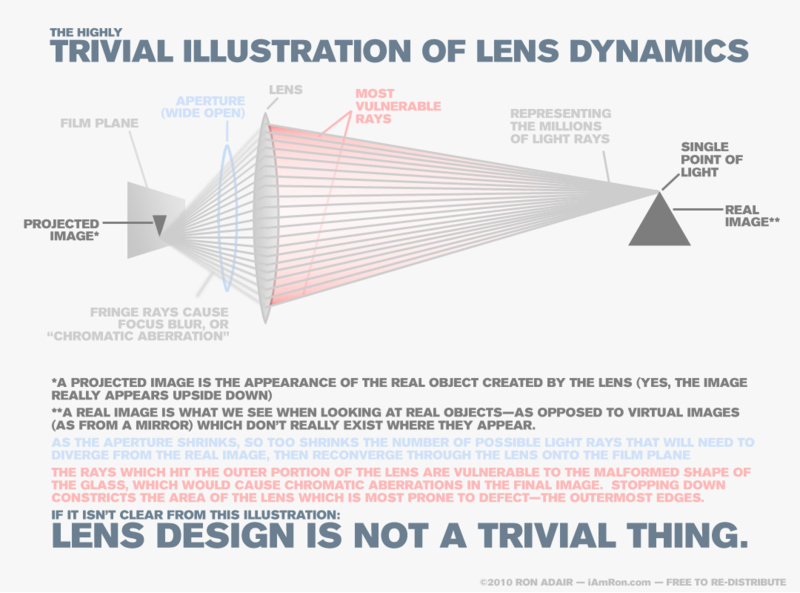 This is a trivial illustration, but it touches on a FEW of the key principles that explain why designing lenses is really a years long process. I’d love any feedback you may have on the subject. If you know more about lens design than me (and you have a degree or achievement to back it up), then please correct me where I’m wrong. My knowledge, while more than most, is still highly limited.